The Life's Way: Happy Moments! WINNER of #MISSONSAMSUNG First Bloggers Challenge for 2014 - Live on ExpressoShow on 25th May 2015 Grand Finale! I am Aashish Rai who runs www.thelifesway.com and photoyatra.blogspot.com blogs. I think myself is living the Life of Pi as I was born on 22/7. I remember Sr. Bachchan quoting that, "Life and it's struggles are two sides of the same coin; you can't take them out". I love challenges and continues to strive for the best I can do for my blog. I did MBA (Finance) and Bachelor of Tech (Electronics and Communication Engineering) and learned whatever I could to live my life joyfully! Winning has been a constant source of motivation and collection is a hobby. Travelling and Photography are my passions. I love gadgets and is naturally attracted to the earphones/headphones as my first love. Music and Movies help to keep an eye on time by the time of release dates. TheLife'sWay was started on 27 Dec 2012 as my best friend Shavet Mahajan celebrates his birthday on this day. It's a great day to celebrate and start something which I am passionate about the most. He has always supported me and corrected me from time to time. Thanks to his unconditional love and support throughout these years since I first met him on a train journey to Hyderabad way back in Feb 2005. Thanks a lot, Shavet! All the photographs clicked by me are dedicated to my Chacha Ji (Father's brother) - Sh. Satish Garg who has given me plenty of opportunities and invested a lot in me to learn his techniques of photography. He has been my source of inspiration and learning as I have spent most of my years since childhood with him. His unconditional love has crossed all boundaries, and I feel great to have him in my life! Thanks! In India, I am a part of Indiblogger and Blogadda directories and won their several prestigious contests for various brands. 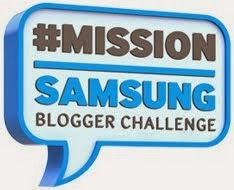 In South Africa, I am the Winner for the Samsung's #MissionSamsung Blogger 2014 challenge and won their First Community Challenge (Samsung NX300 Camera). I love winning contests on twitter and facebook and always tries to participate in some from time to time.